A three-member World Anti-Doping Agency (WADA) team has successfully retrieved the data from the Moscow Laboratory and it has been transported out of Russia to be authenticated, it was announced today. WADA confirmed all underlying analytical data had been collected from the laboratory’s various servers, instruments, computers and other electronic equipment during the latest visit to the facility. The organization does not yet know whether it is genuine, however. WADA will now analyse the data to ensure it is credible and has not been tampered with, although WADA has publicly admitted this could take months. WADA President Sir Craig Reedie claimed today’s announcement that the information had been retrieved was a “major breakthrough for clean sport” – despite the fact it came 18 days late. The delay also meant the Compliance Review Committee (CRC), which held a crucial meeting in Montreal earlier this week, was not even able to partially assess the legitimacy of the data. WADA said in a statement today that the CRC had provided its report and recommendation to the Executive Committee on whether the Russian Anti-Doping Agency (RUSADA) should remain compliant. The CRC only finalized its report after the team had left Russia amid reported safety concerns. The timeline has been widely criticised, with some claiming Russia has effectively been given extra time to comply with the demands from WADA and that the organization has shown little urgency in dealing with the biggest crisis in its history. It is possible Russia could still be sanctioned for missing the December 31 deadline set by WADA when it controversially reinstated RUSADA in September, which lapsed without the organization being able to extract the data from the laboratory. A team from WADA was blocked from doing so by Russian authorities, who claimed the equipment had not been certified under Russian law, last month. A smaller delegation was granted access to the laboratory last week and began its work last Thursday (January 10) but WADA conceded the process was taking longer than expected. Sir Craig, who has faced criticism and numerous calls for him to resign amid the fallout to the doping scandal, claimed retrieval of the data “simply would not have happened without the 20 September Executive Committee decision”. “This is a major breakthrough for clean sport,” he said. “It shows we are continuing to make real progress that simply would not have happened without the 20 September Executive Committee decision. “The first phase of the three-phase process outlined by that decision is now complete. Sir Craig added that, once the data has been authenticated, WADA could start helping International Federations and other organizations to prosecute or exonerate Russian athletes involved in the doping scheme. RUSADA and the Russian Ministry of Sport must now “procure that any re-analysis of samples required by WADA following review of such data is completed by no later than 30 June 2019” as part of the reinstatement criteria. “Once the data has been authenticated, we will be in a position to proceed to the third phase and support the various sports and other anti-doping organizations concerned to build strong cases against athletes who doped and, as part of that, ensure that certain samples that are still stored in the Moscow Laboratory are re-analysed in an accredited laboratory no later than 30 June 2019,” Sir Craig said. RUSADA could still be punished by WADA for missing the “hard” deadline set by the organization in September. 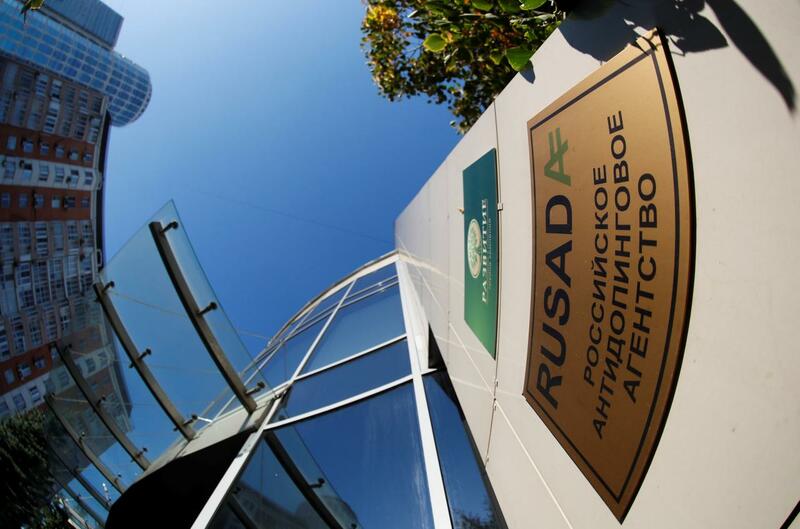 When RUSADA was brought back into the fold in September after a near three-year absence, WADA director general Oliver Niggli stated it would be declared non-compliant again if it did not meet the December deadline. Despite Niggli’s September comments, it is thought that, behind the scenes, WADA could be reluctant to banish Russia again now that its team has finally retrieved the data.